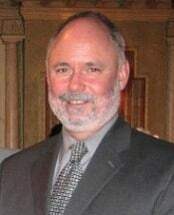 Steven Gaechter, the Law Offices of Steven Gaechter in Hackensack, New Jersey, concentrates his practice in Social Security Disability and Long Term Disability litigation, representing exclusively claimants for benefits under ERISA as well as non-ERISA private insurance plans. Mr. Gaechter is a past panelist for New Jersey ICLE as well as lecturer concerning Social Security Disability and Long Term Disability litigation matters before the Bergen County Bar Association. A member of the Social Security Law Committee of the Bergen County Bar Association, Mr. Gaechter is a sustaining member of the National Organization of Social Security Claimant's Representatives. Mr. Gaechter received his B.A. from New York University, and his J.D. from Seton Hall University School of Law.